Computational biologist Dr Kathryn Holt named one of 15 L'Oreal For Women in Science International Rising Talents for 2015. This article originally appeared in Voice on 11 May. View the original here. 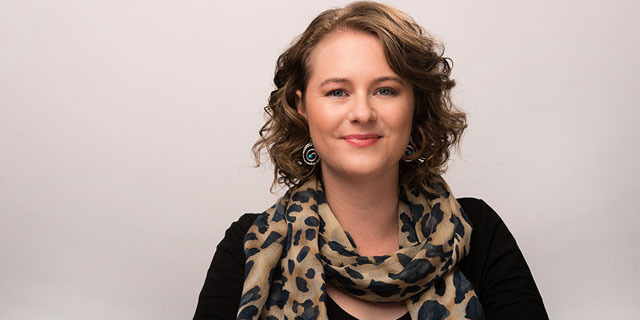 University of Melbourne computational biologist Dr Kathryn Holt has been named one of 15 L'Oréal For Women in Science International Rising Talents for 2015. The L'Oréal For Women in Science program was established by the Foundation L'Oréal in partnership with UNESCO to showcase talented women who are committed to the advancement of science. Dr Holt is recognised for her work in genomics where she researched resistant bacteria and infectious disease across various global health concerns from typhoid and dysentery, to hospital-acquired infection. Her lab at the University's Department of Biochemistry and Molecular Biology, based at the Bio21 Institute, investigates the structure and evolution of bacterial strains that are becoming resistant to antibiotic medicine as well as bacteria which colonise the body. "The microbial world is endlessly fascinating - microbes are everywhere and affect just about every system, and they evolve really quickly so their genomes are constantly changing and we are struggling to keep up," Dr Holt says. "The problem of antibiotic resistance is right up there," she says. "We are starting to see infections that have no cure. This is a huge problem for modern medicine because a lot of our key treatments rely on having effective antibiotics to keep infections at bay. Without this, things like surgery and chemotherapy become much less safe." With the emergence of resistant strains of bacteria, the importance of identifying risk and understanding the mechanics of a resistant gene will become more and more crucial in hospital care, infection control and public health policy. "For the future of our field we need sequencing to keep getting faster and cheaper," Dr Holt says. "We are now putting DNA sequencers into diagnostic labs in hospitals and public health facilities (like the CDC in the US, or the Microbiological Diagnostic Unit here in Melbourne), where they are being used to investigate local outbreaks in real time." Having immediate sequencing and analysis available in hospital settings is at the crux of the future of science and patient care. It will allow hospital workers to directly intervene in the care of affected or at-risk patients and successfully contain any outbreak to an isolated and manageable area. One of the biggest challenges facing Dr Holt is how to make sense of large volumes of data. With so much data available, it is becoming more and more important for researchers to have a deep understanding of computing and statistics to be able to complete the cycle of analysis and interpretation. Being named one of L'Oréal International Rising Talents is important for Dr Holt as recognition of the role of science in improving patient outcomes from laboratory research to practice. Dr Holt is establishing a new Centre for Systems Genomics at the University where she proposes to do just that. By emphasising the importance of working across disciplines, the new centre is an interdisciplinary initiative incorporating science, mathematics, engineering and medicine where she hopes to be able to turn data into practical biological knowledge and, in turn, better outcomes for patients.